Price Chopper: Golden Grahams Cereal FREE + $0.36 Profit! 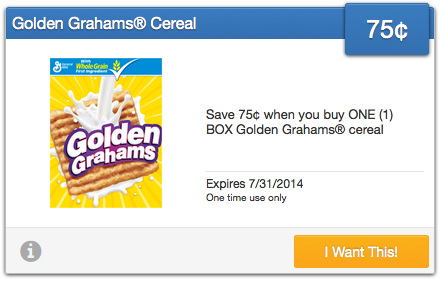 Today's new $0.75/1 Golden Grahams saving star ecoupon makes for a profitable deal at Price Chopper! = as low as FREE + $0.36 profit!